You must make reservations at least 5 minutes in advance of the time at FIVE Restaurant Bistro. Parking is available in the public lot in front of the restaurant as well as in a small private gravel lot behind the restaurant. You may rent out our entire restaurant. Call for further details. FIVE Restaurant Bistro is a local family owned restaurant specializing in comfort food with a local flair. 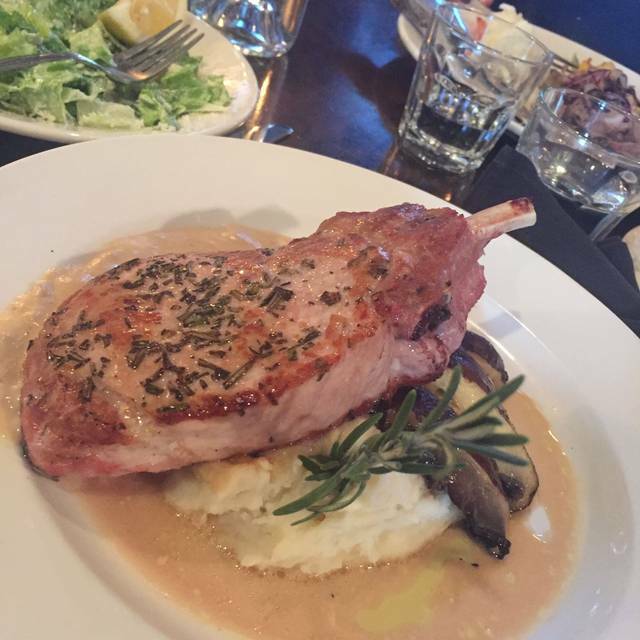 We strive to provide great food and service in a relaxed and fun atmosphere. During the warmer months we also have some of the best patio seating available in the Edmonds area. Join us Monday-Friday for Lunch, or any day of the week for Happy Hour or Dinner. They have a fantastic Caesar salad and then pair that with anything else on the menu for a winning meal. We shared 'Manila clams, penn cove mussels in a dijon tarragon sauce' and 'Oven fired bay scallops in a spicy lime mornay sauce and regianitto'. Both were great , and were served with a nice amount of bread. These and a couple of drinks made for a nice dinner. Always love eating at Five. Great ambiance, quality of food, service. Cramped and very loud. Nothing special. No place for conversation or romance. Always the best service with the best food. Employees always have a smile on their face. Thanks for having us! The service was great and the food was the best. 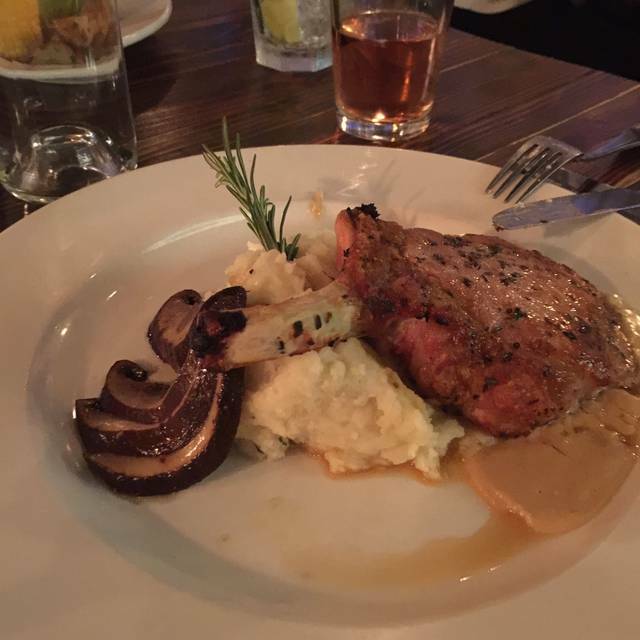 My only suggestion: I ordered the pork chop which was delish but the mashed potatoes and the sauce were barely warm. I know some like them served on the cool side but I like mine hot. Made the reservation but when arrived at the restaurant I was told they are opening in an hour. I was invited "some other time". Poor experience. We have eaten at 5 several times. It never disappoints. Great food & friendly service. Satisfied all around. The server was amazing! Food was delicious. Will definitely come back and even recommend. Can’t wait for the patio to open up for an even better ambiance. Noisy, but delicious. Seems like our favorite calamari appetizer gets smaller and smaller, which is unfortunate. Enjoyed the food, but cannot stand shouting to my husband across the small table. We came for lunch shortly after you opened. The place was freezing cold! the music was too loud for a comfortable conversation. We asked to have it turned down. Other than that the food is good as always and the waitress was nice and helpful. Our soup came out to us luke warm we asked to have it heated it was and tasted good. I always enjoy my visit to Bistro FIVE only next time I will not come with guests till your place warms up, we ate with our coats on and were still cold. Thank you for asking. Consistently good. Everything is well prepared with some original ideas. My $29 Halibut was presented on a bed of tasty creamy farro, but the plain grilled halibut itself (which was perfectly cooked) needed a sauce. All the pizzas on the menu look good and are contemporary; a few non dairy selections would be nice since I’m intolerant. An absolutely wonderful meal from start to finish. Not only were the food and drinks amazing, but our server Connor was above and beyond. He has an extensive knowledge of the food menu, spirits, and wine list. All questions we had were answered with confidence and ease. To start we had the oysters and the sea scallops -- delish. Then we had the halibut and the pork chop. All were outstanding -- and the farro side dish with the halibut was exquisite. To finish the evening we had the berry crisp and the vanilla gelato with chocolate shavings. Excited to go back and try more! Wait seemed odd, kind of dry. Not personable. Did seem like they enjoyed what they did. Lovely restaurant each and every time! Loved our corner table this time. We're sort of regulars at Five and enjoy going there. We were disappointed to learn that they no longer have happy hour on weekends. We've also noticed that the food quality is not as consistently good as in the past (fish a little overcooked; dishes arrive a little cold; bread pudding that amounted to a pile of flavored bread cubes). However, service is consistently top notch (thanks, Tosh and Connor!). So are Gabe's cocktails. Always enjoyable when the food is as good as the service! Great restaurant. Hummus wasn’t good. All the other food was fine. Our booth was good for us tucked in a corner. Service was good. Go to restaurant in Edmonds! Continues to be one of our favorite spots! I highly recommend this place. One of my absolute favorite restaurants! Many great menu items but the chop salad and Italian sausage flatbread are 2 of my favorites. Love this place! Great food and great service! This was our first time to eat here. We all enjoyed our various appetizers, salads, entrees and desserts!! Our server Conner was outstanding. He guided us through the menu and wine list, and went out of his way to make sure we were well taken care of. We were looking for a new (to us) place to eat north of Seattle, as we live on Whidbey and want to avoid I-5 due to the viaduct closing. 5 Restaurant Bistro is the perfect antidote to Seattle traffic woes! The server and cooks were fantastic with my food sensitivities. I got to enjoy food and drinks without compromising flavor! Our server wasn't the friendliest, by any stretch of the imagination. The bartender was great, though. I had a drink while waiting for my family to arrive for dinner and he was very jovial. Also- this restaurant really should offer at least a scoop of ice cream for birthdays. This is our go to area restaurant for a date night. Good food, friendly service, nice atmosphere. Especially great in the summer when the back patio is open. I go here regularly. Our recent date night ~ was he place was packed yet our dinner felt intimate... the service was very good, food was excellent, and the ambience was warm and inviting. Shall definitely return! 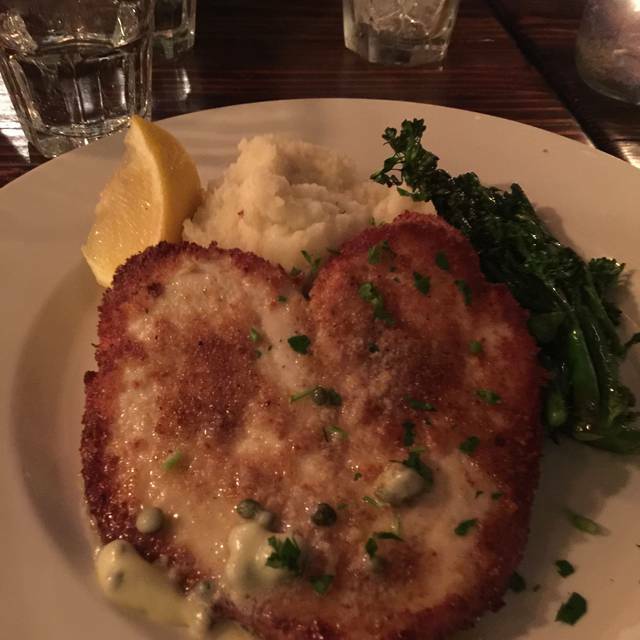 There are few restaurants in the northend (145th-SR104) that a suitable for a nice dinner out. I've driven past 5 Restaurant Bistro for years but never tried it. We were pleasantly surprised by the menu and service. And only 10 minutes from our house! We'll definitely be back. Early dinner on Christmas Eve. Wanted pizza but restaurant took it off the menu for that evening so had to order more than I wanted. Meal was good. Great local eatery. Food is always top notch, never had an order I didn’t love. Cocktails and wine are good but a little pricey. Overall I recommend for casual occasions. The place was packed. My friend had a walker and it was very difficult to get into and out of the restaurant without inconveniencing other customers to get up and push their chairs in to let us through. The tables were much too close together.